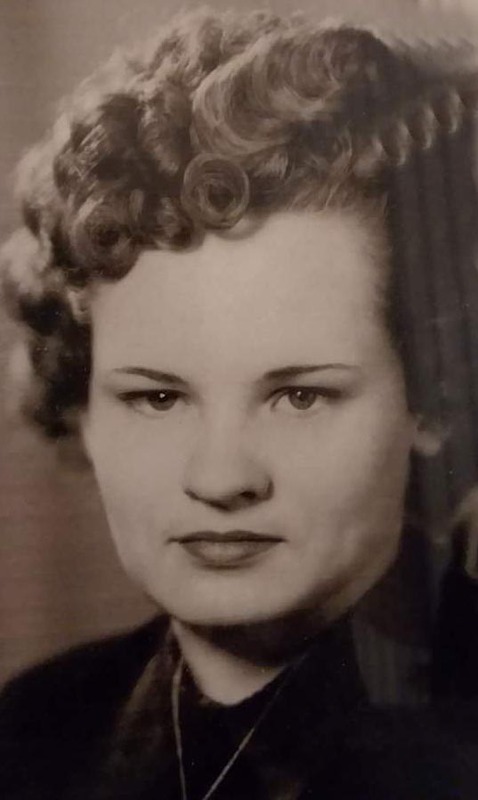 Mary Lou Vickery, 89, of Clyde, OH passed away on July 13, 2018 at University of Toledo Medical Center in Toledo, OH. She was born on July 24, 1928 in Green Springs, OH the daughter of William J. and Jessie Ruth (Leibengood) Gilbert. She was a graduate of Green Springs High School. Mary Lou married Denver E. Vickery on February 7, 1950 in Holly Springs, MS and he preceded her in death on January 8, 1999. She was a homemaker and owned the family farm with her husband. She was an active member of Compassionate Ministries and a social member of the V.F.W. Mary Lou enjoyed cooking and knitting. Mary Lou is survived by her children, Scott E. Vickery, Clyde and LuWonna M. (Gary) DeMille, Bradenton, FL, and brother, Dale Gilbert, Bradenton, FL. She was preceded in death by her parents; husband, Denver Vickery siblings, Clarence and John Gilbert, Laura Stout and Evelyn Robison. Visitation: Wednesday from 2 to 4 and 6 to 8 p.m. at Horvath Hanes Funeral Home and Crematory, 211 N. Broadway St., Green Springs, OH. Funeral Service: Thursday, July 19, 2018; 10:30 a.m. at the funeral home. I’m going to miss you, Mom. You’re singing with the angels. My prayers go out to Lu, Gary, Scot, and Uncle Dale. Have many happy memories fishing with Mary and Denver every Tuesday after we retired. Got going early a d had lots of fun. We also made 19 day trip across Canada with them. Many memories. May she rest in peace. We will miss Auntie M. We have a lot of great memories, playing cards, dominoes or just talking. She made the best cup of coffee in town!